Oh Japan, why do you always get the coolest stuff first? This phone looks amazing. It's like a Panasonic Lumix camera and an Android phone had a baby. And it's waterproof? Gimme now. This thing is going to pack a 13.2MP CMOS Lumix sensor. In case you don't know, the image sensors in Lumix cameras are pretty great. 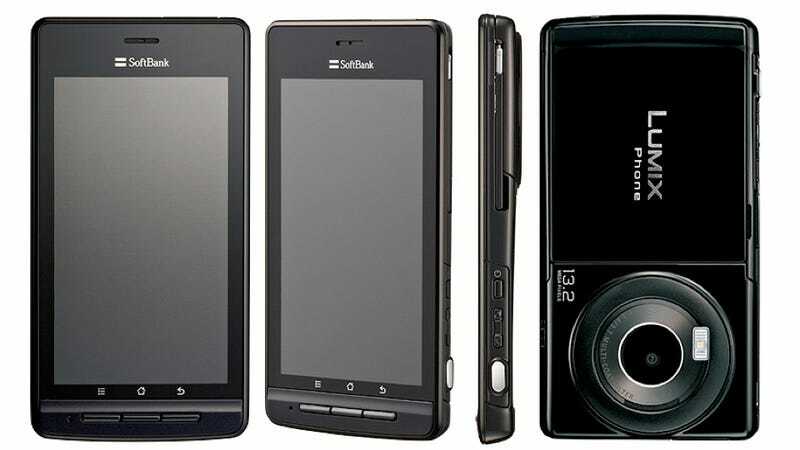 It's also going to have a 4-inch QHD LCD screen with 960×540 resolution and a 1Ghz TI OMAP4430 dual-core processor. It's waterproof, like all gadgets should be (though we don't know how waterproof yet), it runs Android 2.3 (Gingerbread) with some Lumix camera software on top (like their pretty terrific Intelligent Auto), and what the hell, let's throw NFC in there so you'll be able to use it as a digital wallet. Oh, and it's thin, at just 9.8mm. AND it's got a camera button. Holy crap I want this thing. Traditionally, the cameras on phones have been not so great, and it's no wonder; trying to smash a camera into something as thin as a phone creates a ton of challenges and severely limits the size of the image sensor and the lens. No camera phone will ever replace your SLR, but if Panasonic gets this right, they might just be able to replace your point-and-shoot. As someone who hates having several large items in his pockets, I'm really rooting for them to knock this one out of the park. You can keep up with Brent Rose, the author of this post, on Google+ or Twitter.